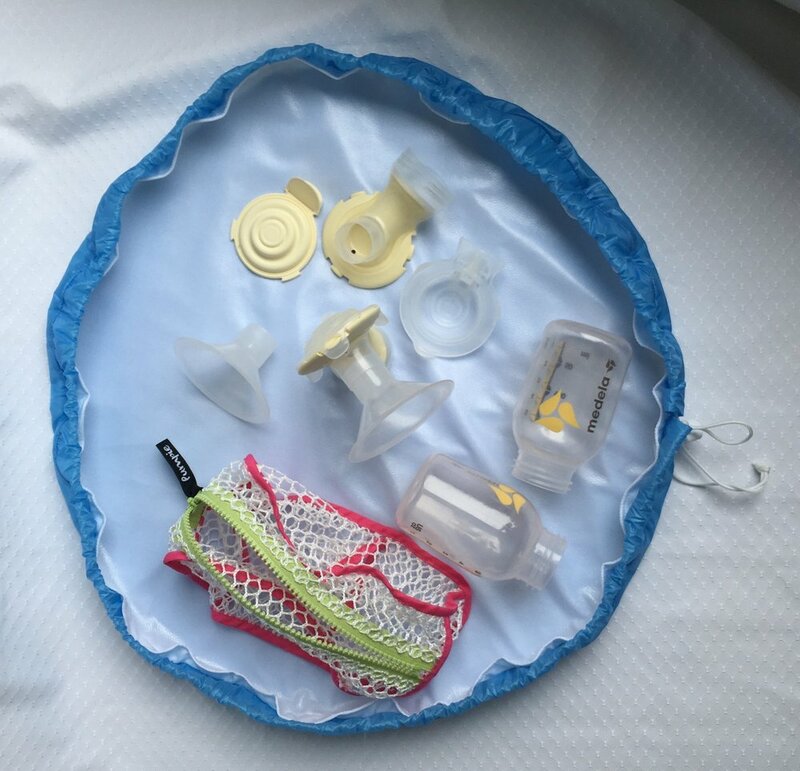 Better than a Baggie — Pumpie - Clean breast pump parts the easy way! Waterproof – We designed the bag with waterproof material on the inside and outside. We have tested the wet bag many times with soaking wet towels and swimsuits. Rest assured, its waterproof. Food Safe – The inside of the wet bag is made from food safe material that does NOT have BPA, phthalates or lead. Lays Flat – Best of all, our wet bag lays completely flat so that you have a clean surface to set up and take down pump parts throughout the day. Easy to Clean – At night just wipe the inside down with a warm soapy wash cloth. Hang it with your pump parts so it is ready to go in the morning. At the end of the week throw it in the washing machine on cold along with your pump bra and hang to dry. 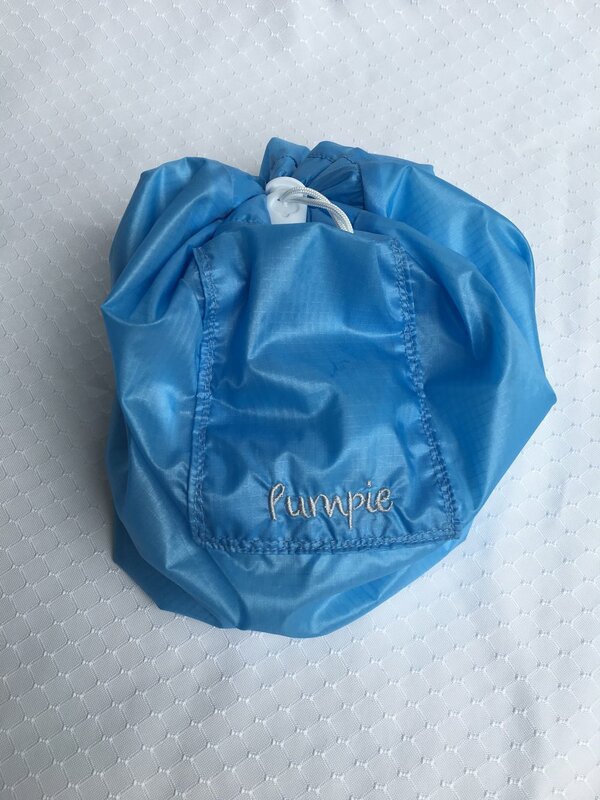 The Pumpie Wet Bag is also great for traveling with bottles as it keeps all the parts together in one clean place. So say good bye to the piles of plastic baggies and paper towels and say hello to the Pumpie Wet Bag!